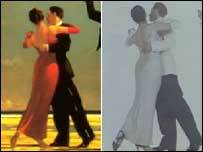 Artist Jack Vettriano has brushed aside claims that he privately copied some of his most famous works. The painter said he had never made any secret of using a 1987 illustrators' guide for some of his figure drawing. 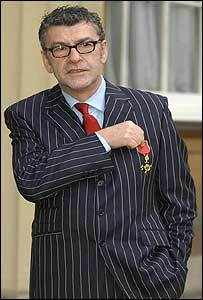 Vettriano denied newspaper reports that he had copied the work or that he had kept his use of the book to himself. He said he had always been upfront about being self-taught and that, like many other artists, he used a reference book for some of his figure drawing. The UK's most popular living artist insisted he had done nothing wrong. The characters in his most noted work, The Singing Butler, are among those he is alleged to have copied. The iconic painting sold for a record £744,800 last year. The painter argued it would not have been practical to use real models in a real setting for that painting or any of the others. His spokesman at the Portland Gallery in London, said: "It has been interesting to see the level of media interest in the 'story' being run in today's Daily Record concerning Jack Vettriano's use of a teaching manual as an aid to some of his early paintings. "It is widely known that Jack is a self-taught artist and it seems unsurprising that as, in his early painting years he had neither time nor the money at his disposal to work with real life models, that he should use a teaching manual such as this." He added: "Vettriano's skill lies in his ability to create narrative paintings with which the viewer becomes involved. "In this way, he transforms mundane characters into extraordinary ones and everyday scenes into special occasions." Vettriano's work is largely snubbed by the art establishment but is bought by stars like Jack Nicholson and Madonna. Born in 1951 to a Scottish father and Italian mother, Vettriano taught himself to paint in a Fife bedsit after being given water-colour paints for his 21st birthday.